The 9th Seosamh MacGabhann Summer School will run from Sunday 30th June to Friday 5th July 2019 in the little village of Kilmovee. It takes place in the Community Centre with classes and tuition provided in traditional Irish music, sean nós dancing, conversational Irish and traditional singing in Irish and English. 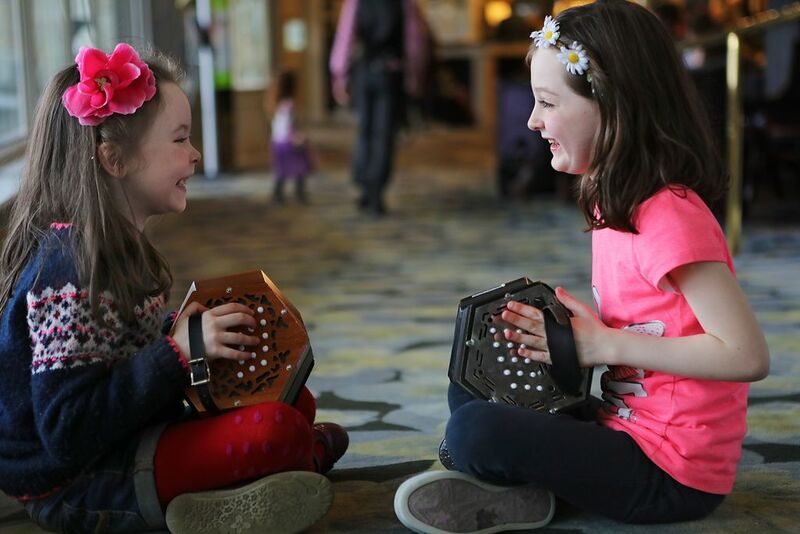 Some of the best tutors in the country give classes in tin whistle, concertina, fiddle, flute, banjo, bodhrán, harp, accordion and traditional guitar. This hidden gem of a Summer School offers pupils to attend a class in their favourite instrument in the morning and then an afternoon class in Singing, Sean Nós Dancing, Gaeilge or a 2nd instrument. Sessions are held each evening where pupils get a chance to practise tunes learned during the day; tutors join the full sessions offering a great night of music and dance.